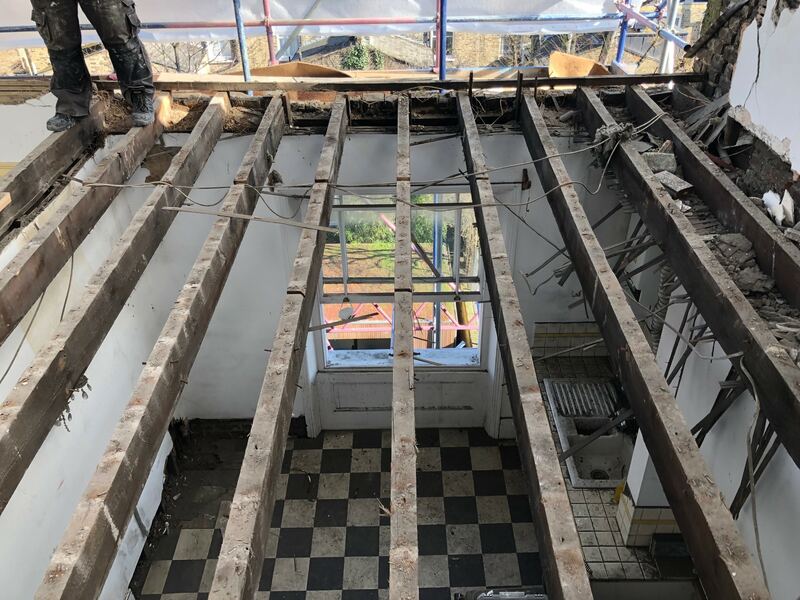 Responding to the need to level the existing timber floors and fully replace the existing roof. 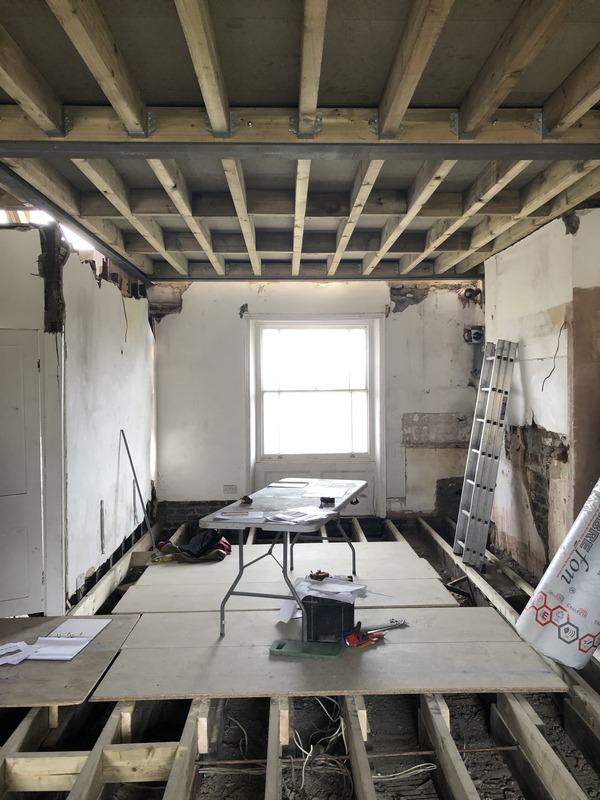 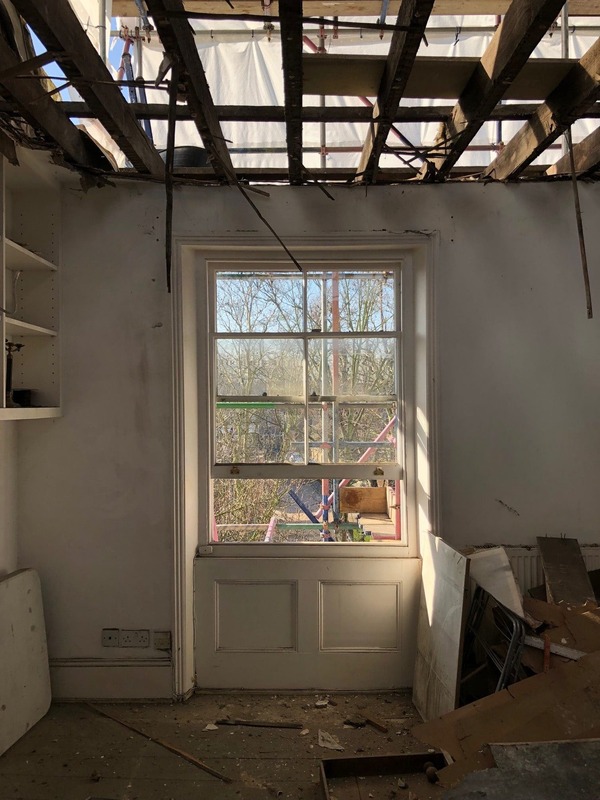 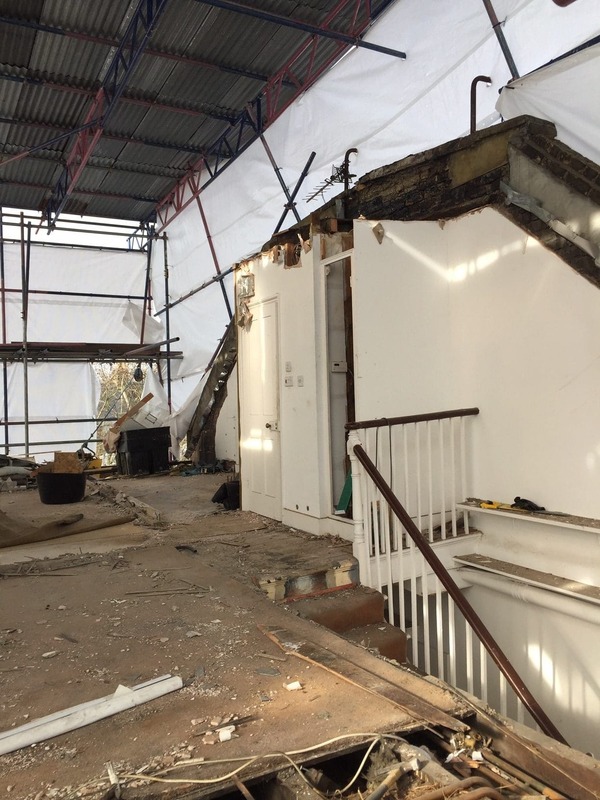 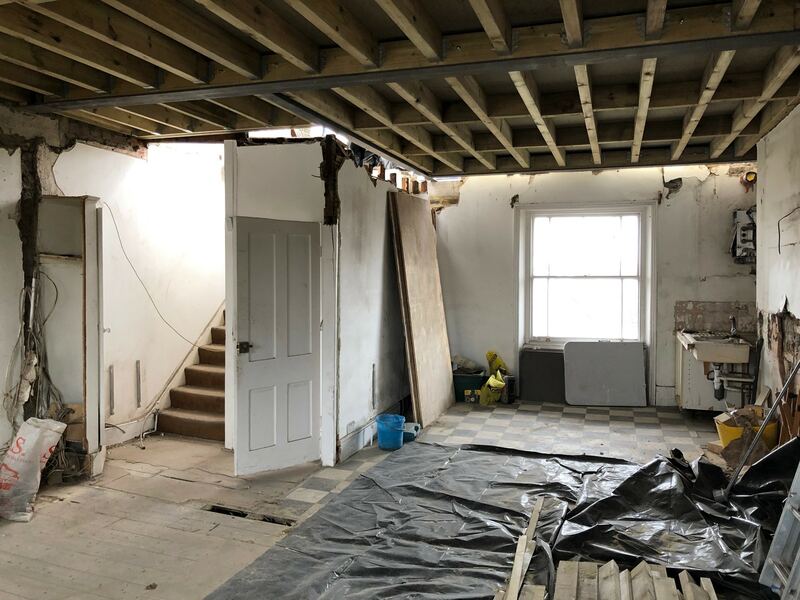 A new front and rear dormer are planned to provide more space at the 2nd floor and new steelwork will support this and the revised internal flat layout. 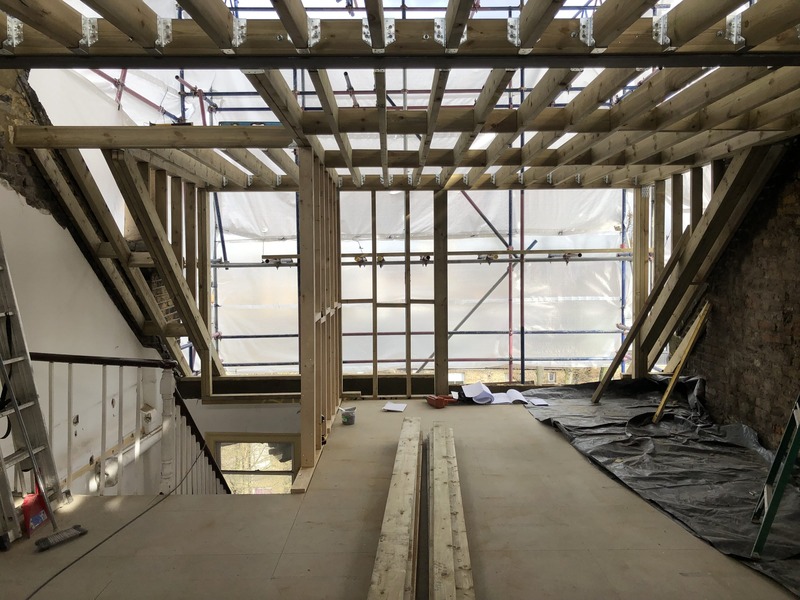 A new broad opening for sliding doors will separate the front dining and living areas at 2nd floor level enabling dual aspect views to the tree tops either side. 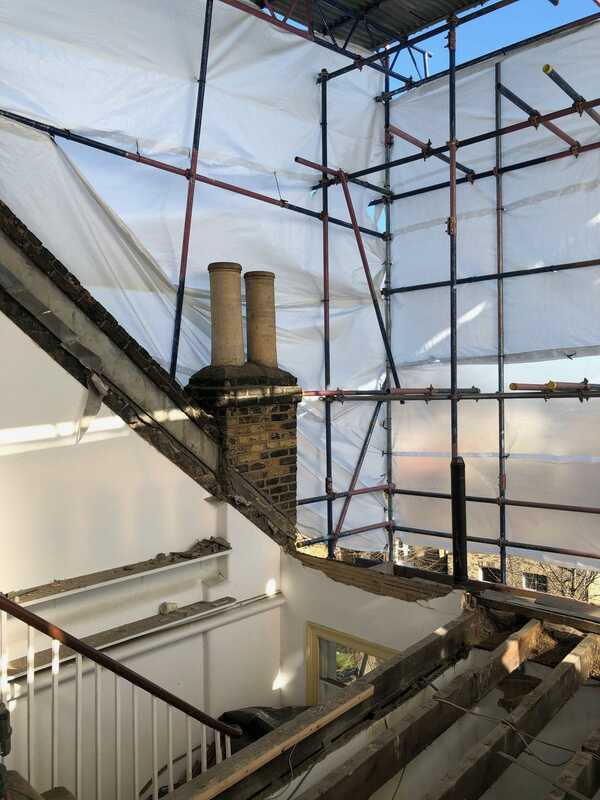 The front enlarged dormer is constructed as a traditional triple timber sash window to match neighbouring details whilst the rear is designed as a wider sloped element finished in standing seam zinc. 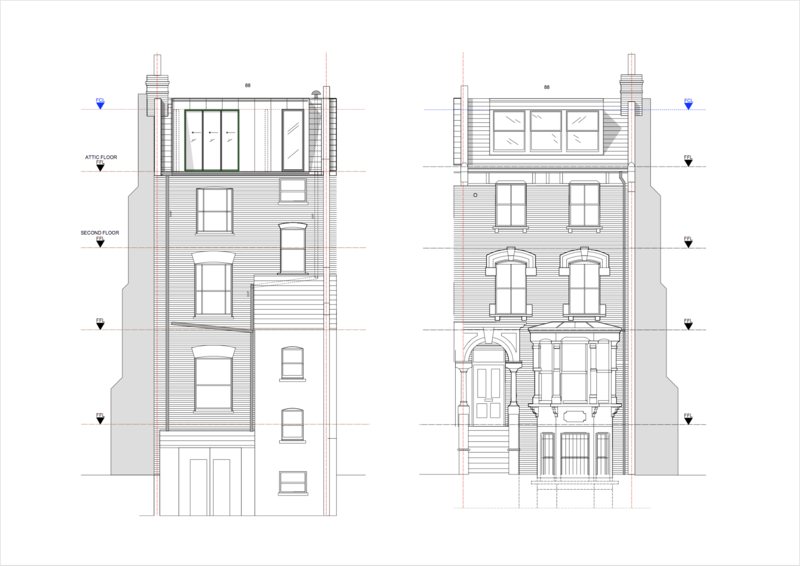 This more contemporary rear dormer also including a full height window opening and sloped glazing to the stairwell.